The 27th Annual Pittsburgh Vintage Grand Prix (www.pvgp.org) was held on Sunday, July 19th. This culminated 10 days of events that included a kick-off rally, fund raisers, car shows, and various other activities including the very popular Saturday car club shows. The money raised by the PVGP Association benefits the Autism Society of Pittsburgh and individuals with intellectual/developmental disabilities who attend the Allegheny Valley School. Over the past 26 years, $2.4 million has been raised from various sponsors, private donations and the car clubs that hold events over the weekend. With approximately 250,000 spectators, 1200 volunteers, 6 races and record attendance by the car clubs, this year should be another great year for the charities. What many people don’t know is that the PVGP is not only the largest vintage grand prix, it is the only one run on city streets in the US. With 22 turns over the challenging 2.33 mile street course, it is a day of excitement as you watch vintage cars, and in many cases very rare collectibles, challenge one another as if they were racing for a large purse. In fact, the drivers actually pay an entrance fee and are not awarded any money for podium finishes. They do, however, get a very nice trophy and the bragging rights of winning one of the most prestigious races of the season. How does this event relate to Porsche enthusiasts? 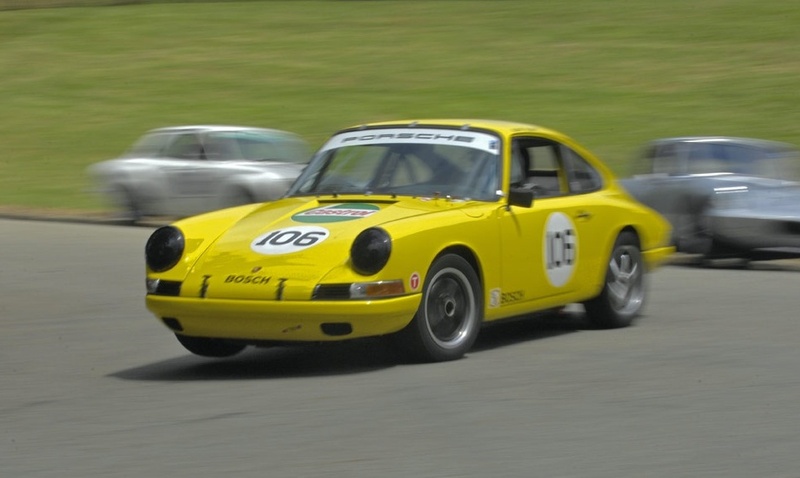 Aside from some very nice Porsches competing in the races, the Allegheny Chapter of the Porsche Club of America and its’ members show up in force not only to see the races but to support the charities by holding two fun filled days of events. Approximately half, of our chapter’s 650 members attended this event in one way shape or form. This year over 150 Porsches parked along side of the race course on the Schenley Golf Course…yes they let us part on the golf course! 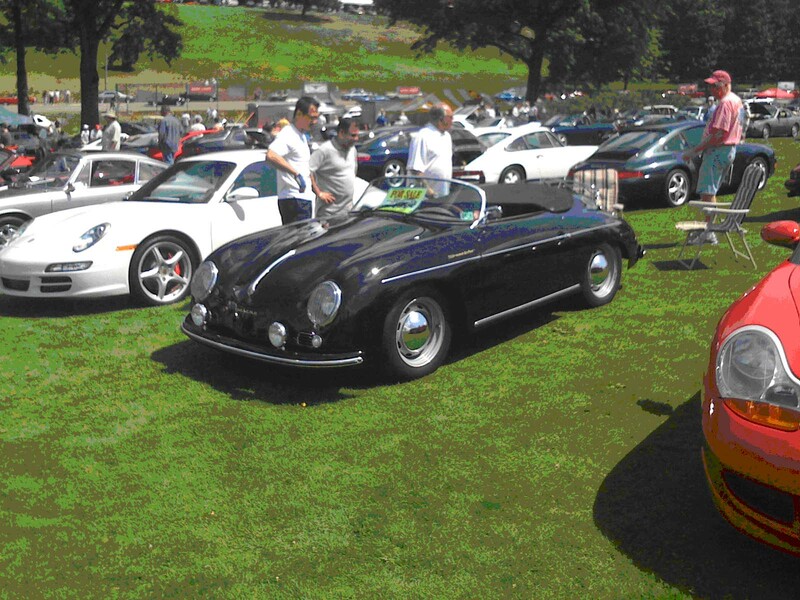 Members and their guests enjoy looking at very clean and detailed cars that participate in the concours, as well as other excellent examples of Porsche automobiles. After enjoying a catered lunch both days, raffles are held in support of the PVGP Association and for the first time apparel was sold and items were collected to support our troops in Iraq and Afghanistan (Porsche Project for Patriots – P3). This year some specimen 356s and Speedsters were displayed accompanied by twin turbos, a GT2, GT3’s as well as every other model known to Porsche. This event has become so popular among Porsche enthusiasts that members of other Porsche clubs come from outside our region and as far away as Canada to attend. All of us are looking forward to next year and especially in 2011 when Porsche will be the featured marque of the event. It’s a great venue if you like nice people, racing and great cars. All PCA members are welcome to attend with registration information available for next year’s PVGP on our website beginning in late Spring 2010. FlatSixes.com would like to give a special thanks to Dave Tilstone of the PCA's Alleghany Region for contributing today's post and information about the Pittsburgh Vintage Grand Prix. If you would like to contribute to FlatSixes.com showcasing the many benefits members receive from participating with your region's PCA chapter, or an event in your region, please feel free to comment below or get in touch with me using the site's Contact page.